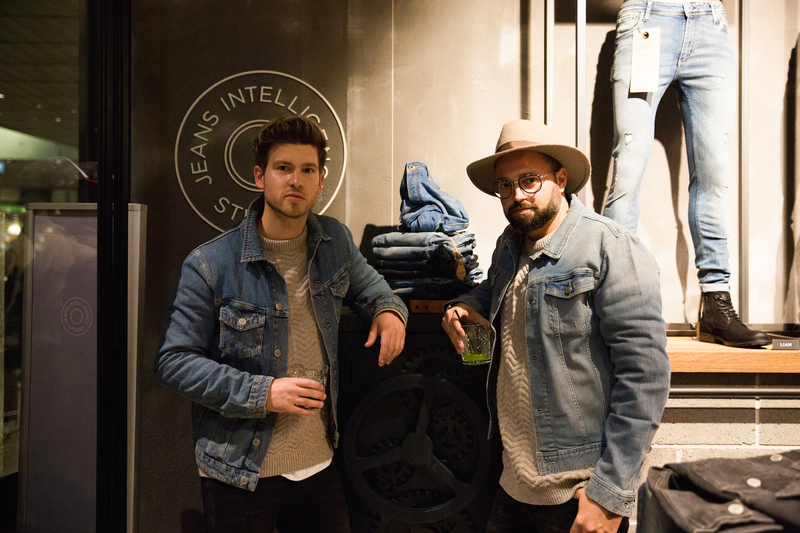 Last Thursday I visited the opening of the first Jack and Jones Jeans Intelligence Studio worldwide at Europark Salzburg. 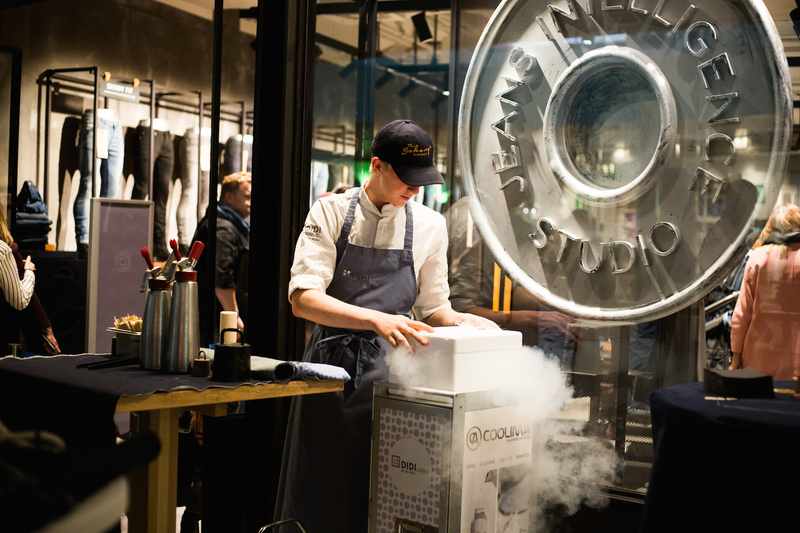 With this top notch concept store the danish fashion giants finally transformed their long established denim expertise into a physical establishment. 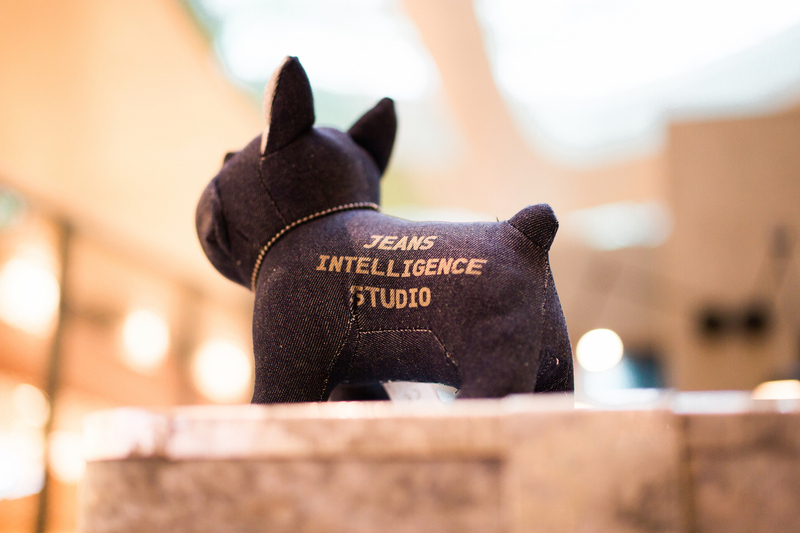 Since the company’s beginnings, Jeans Intelligence has been a cornerstone of its success story. 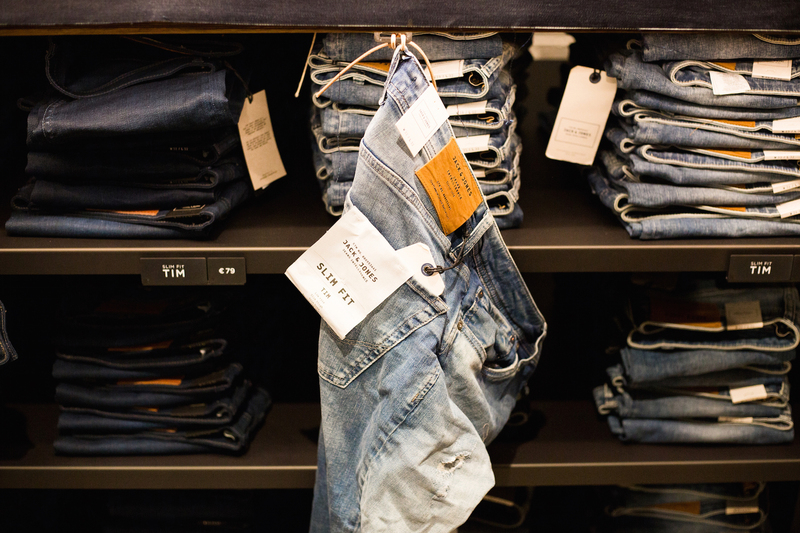 Consequently, the expectations on the Jack and Jones’ first denim concept store were high. 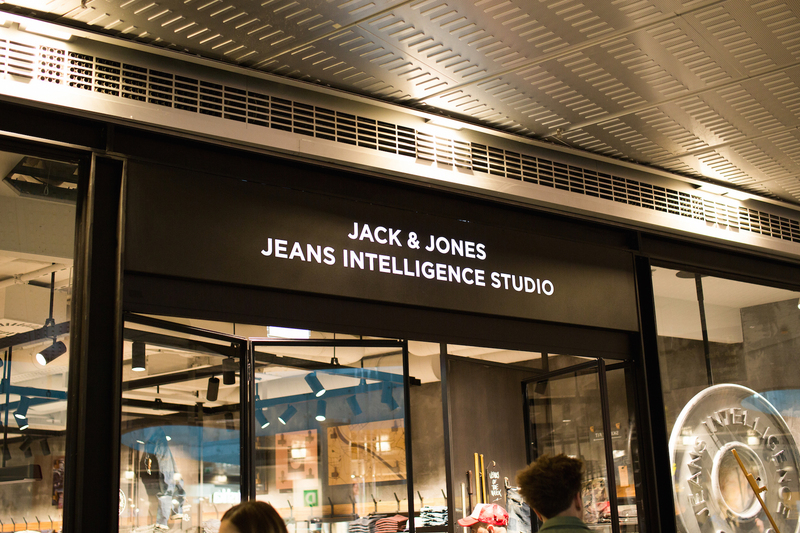 Furthermore, the Jack and Jones Jeans Intelligence Studio really demonstrates the brand’s massive potential. 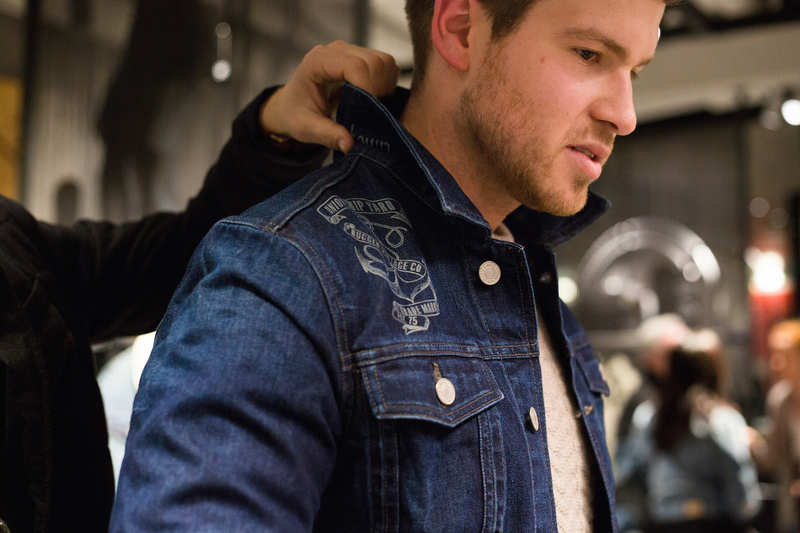 While in Austria Jack and Jones is often falsely reduced to print tees and mainstream designs, this modern denim boutique paints a vastly different picture. 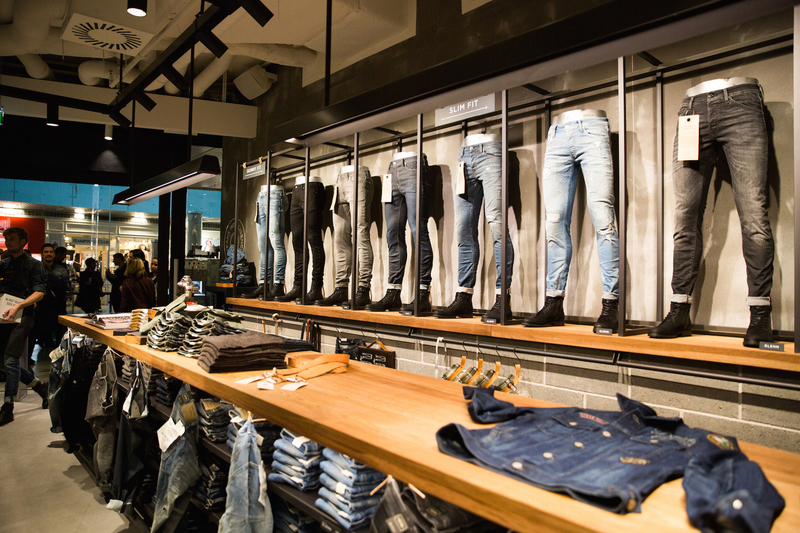 Cutting edge design and reliable quality, manufactured with the newest technologies, Jack and Jones Jeans Intelligence really honors its name. 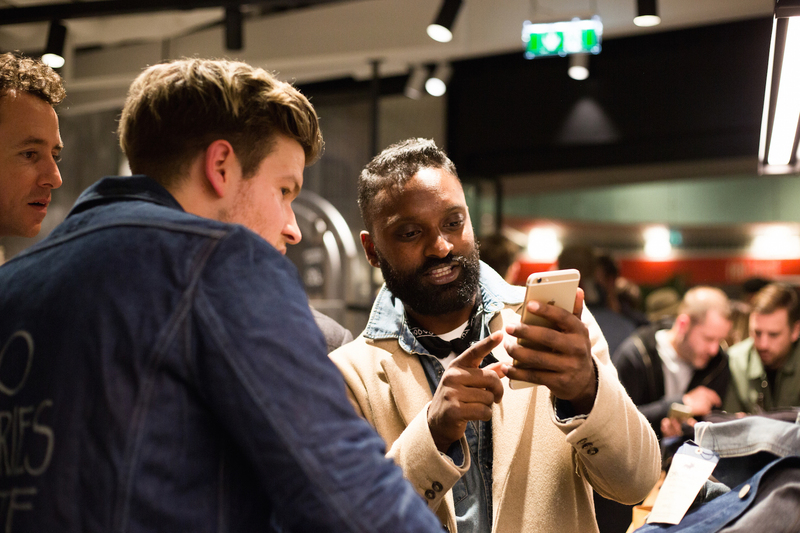 Thus, if you consider yourself a real denim lover like myself, I strongly advice you to check out the Jack and Jones Jeans Intelligence Studio at Europark Salzburg. 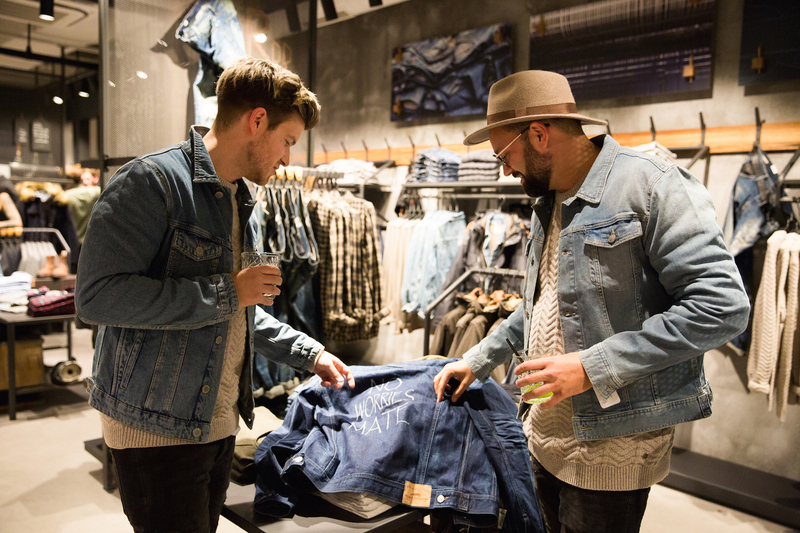 In addition to the appealing interior design, the 120 square meters concept store also convinces with a massive “denim bar” at which customers can talk to a certified jeans expert. I took this lad to the test and it seems he can answer literally all questions you could possibly have in regards to denim. 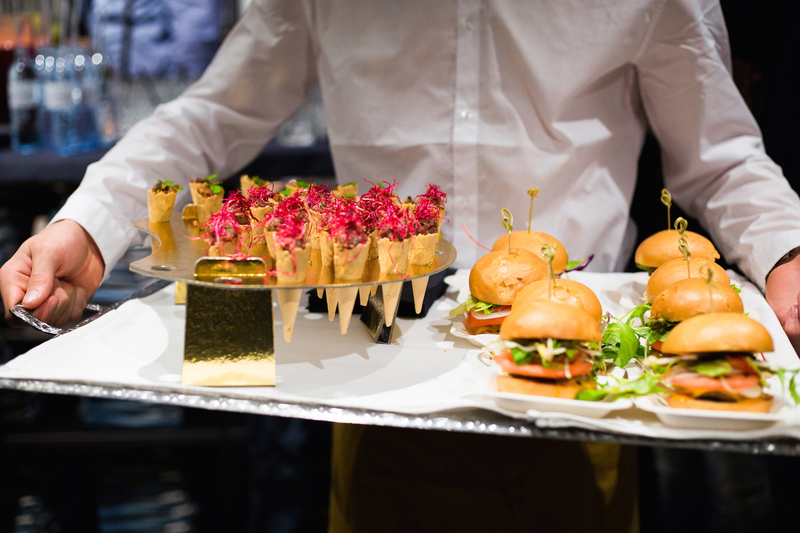 Last but not least, accompanying the jeans assortment you can also shop selected styles from the groups flagship sub-brands Jack and Jones Premium and Jack and Jones Vintage Clothing. 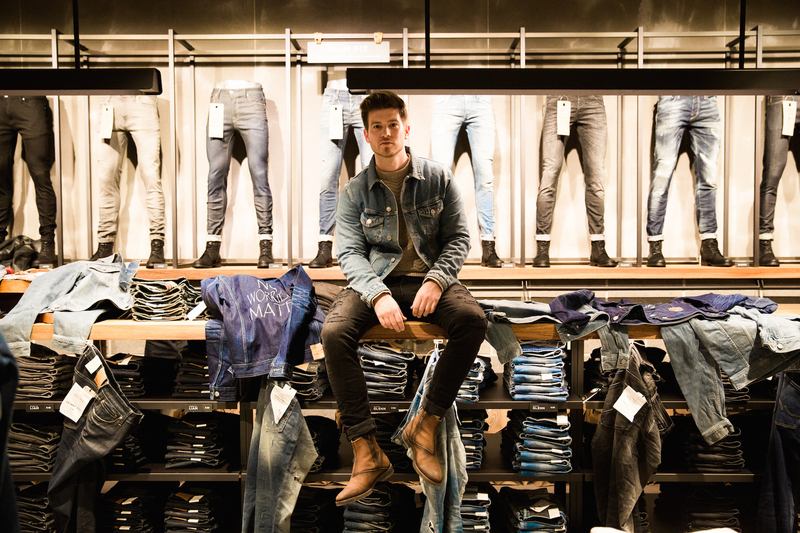 All in all I’m convinced the concept behind the Jack and Jones Jeans Intelligence Studio will be highly successful internationally and Europark Salzburg can be happy to harbor the very first one of these denim temples. 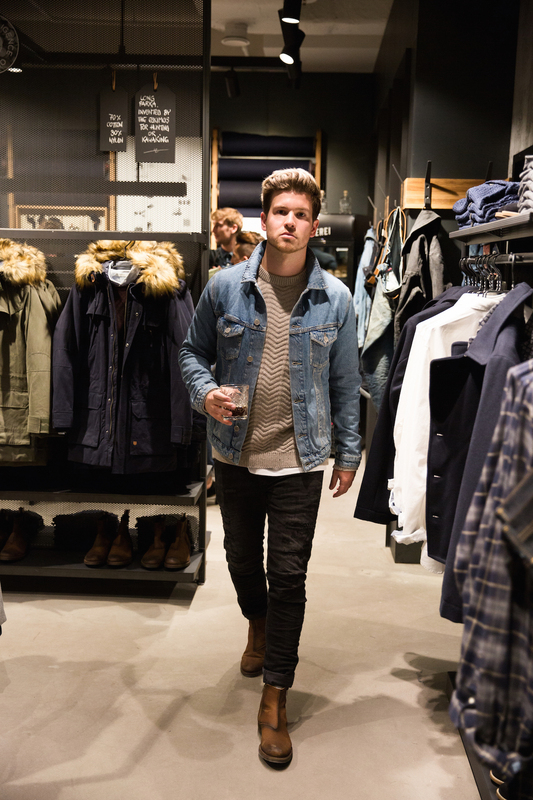 To celebrate the opening of Jack and Jones Jeans Intelligence Studio Salzburg I got asked to introduce you to some of the key pieces currently available at the store. 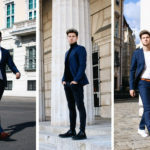 Therefore, together with my fellow male fashion bloggers Philipp Gazar, Way of Jay, Dennis Glanz, Beats & Dogs and The Modern Mad Man, I had the pleasure to select my favorite look from the store. 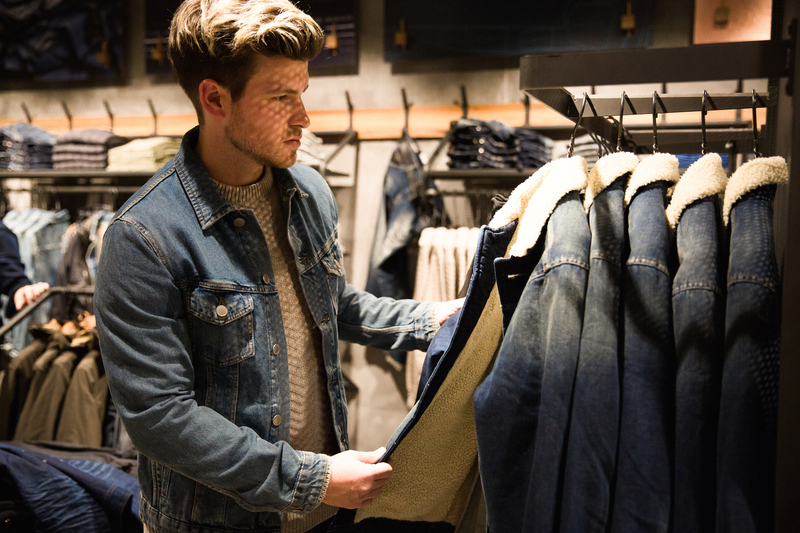 My signature look from the store combines a light blue vintage wash denim jacket with heavily distressed black slim fit jeans. Underneath the jacket I layered up with an oversized white tee and a chunky knitted sweater. 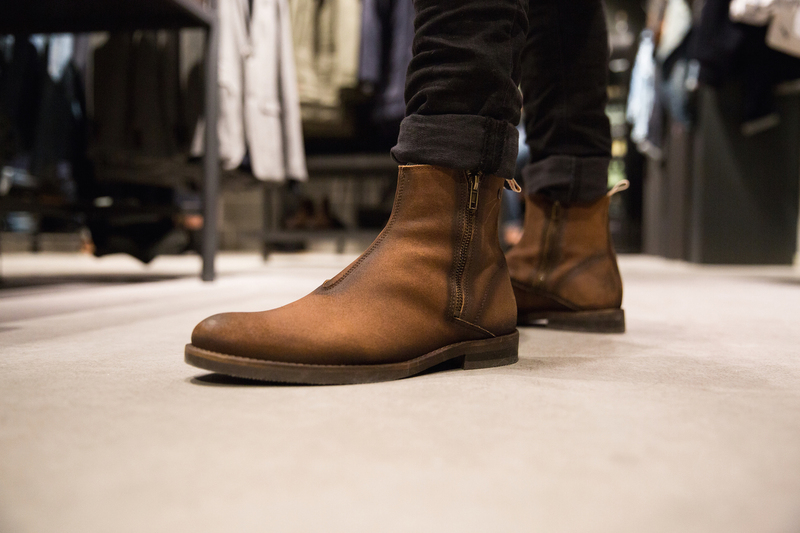 To round off this vintage denim style I chose a pair of chelsea-like leather boots with a used look. 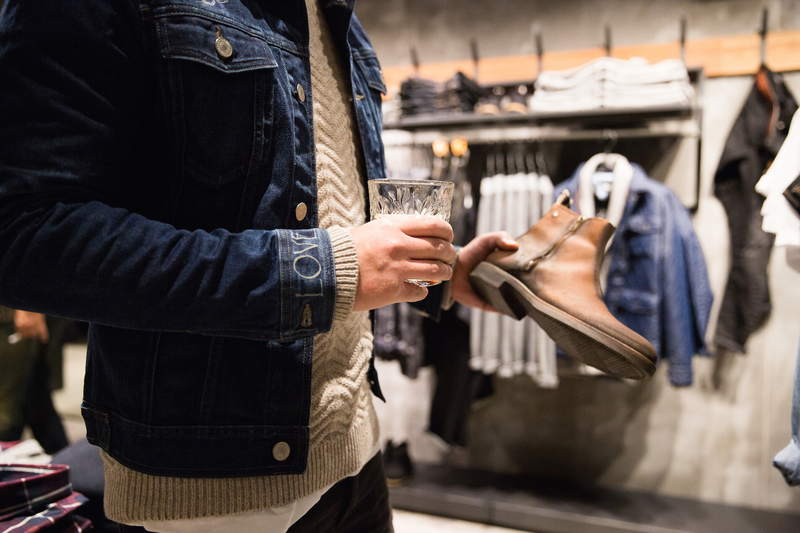 The black of the jeans harmonizes neatly with the light blue jacket. The beige sweater and white tee underneath add a fresh note. Last but not least the boots emphasize the raw vintage character of the style. 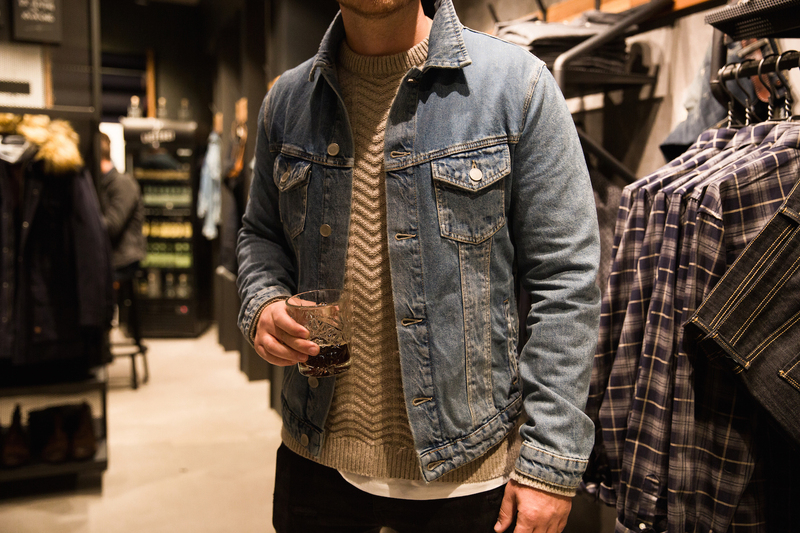 Due to the layering this manly denim look is great for the current fall weather. 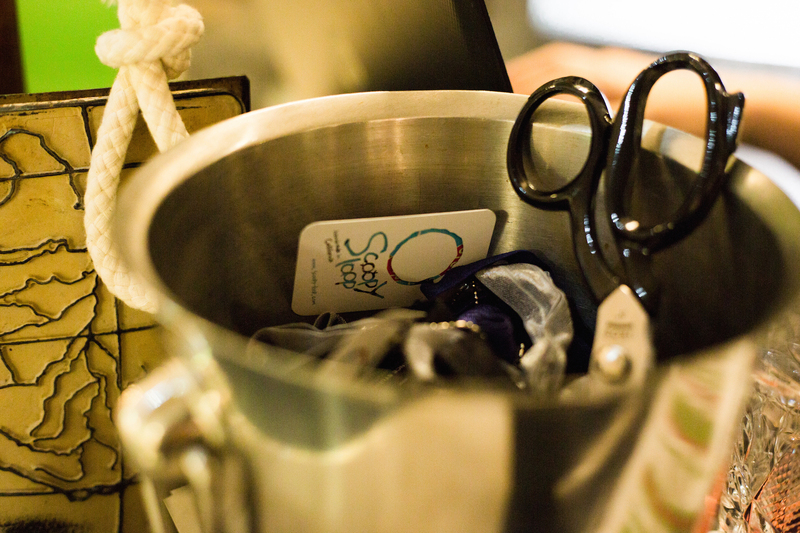 It gives you a lot of options to adapt to temperatures and still look very complete. 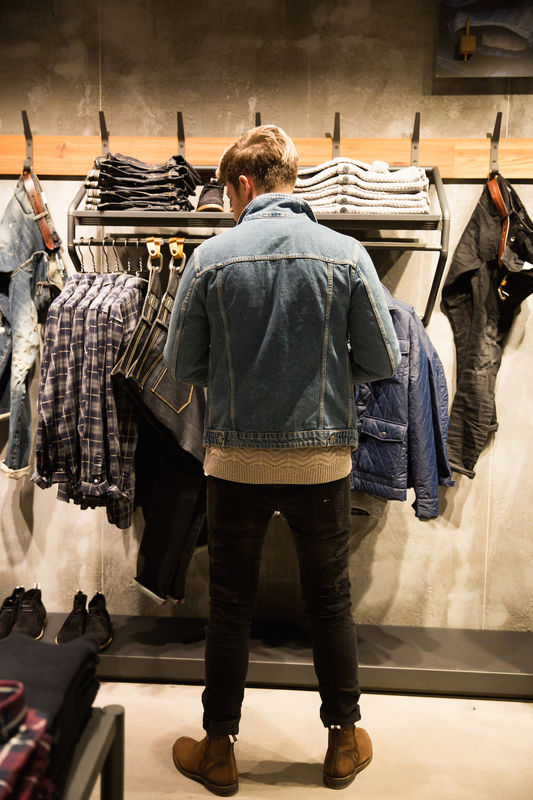 All Styles are Available at the Jack and Jones Jeans Intelligence Studio at Europark Salzburg (Europastraße 1, 5020 Salzburg, Austria). Alternatively I’ve also included the online shopping links below.